Since the start of his acting career in 1993, Jason Statham has come to be known for portraying tough characters in action-thriller movies. This English-born actor has mastered such roles and he has continued to deliver one movie after the other. Whether as a villain or a hero, he is the go-to guy for all things action movies. Born in Derbyshire County, England, Statham got trained in several combat sports during his teenage years and early adulthood including kung fu and kickboxing and these skills have unarguably been very useful in most of his action film roles as he is able to perform his stunts by himself. He attained international stardom for his lead role in The Transporter film trilogy. This Hollywood star also continued to add other notable movie credits to his name and below is a countdown of some of his memorable film roles from the worst to the best. 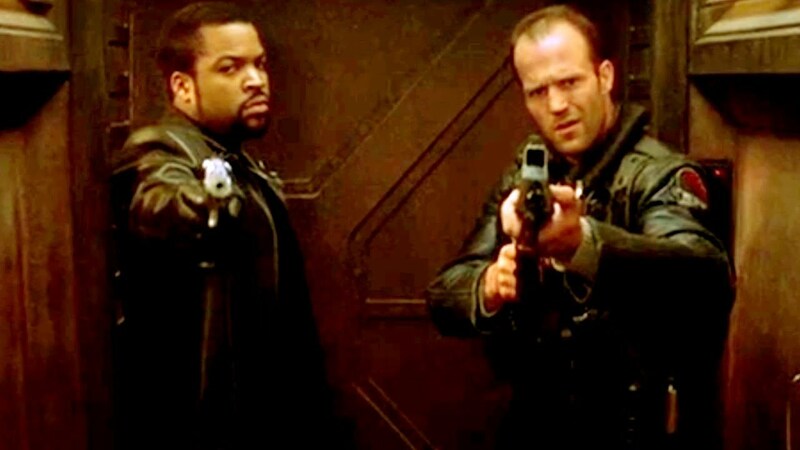 One of Jason Statham’s earliest film credits is the action horror movie Ghosts of Mars (2001). He played the supporting role of Sergeant Jericho Butler who, alongside his colleagues, attempts to rescue a group of miners possessed by ghosts. At the box office, the movie grossed only half of its production cost and it received low ratings from the critics. For obvious reasons, Ghosts of Mars (2001) remains Jason Statham’s first and last feature in a horror film. The 2005 British crime thriller film Revolver is certainly not the best among Jason Statham movies. The actor portrayed the film’s lead character – Jake Green, a revenge-seeking confidence trickster armed with a universal formula that guarantees victory to its user in every game. The film received some very harsh reviews from critics and also got a very poor rating on the film-critics aggregator website “Rotten Tomatoes”. The movie was mainly criticized on the fact that its plot was too complicated and it also did not fare well at the global box-office. 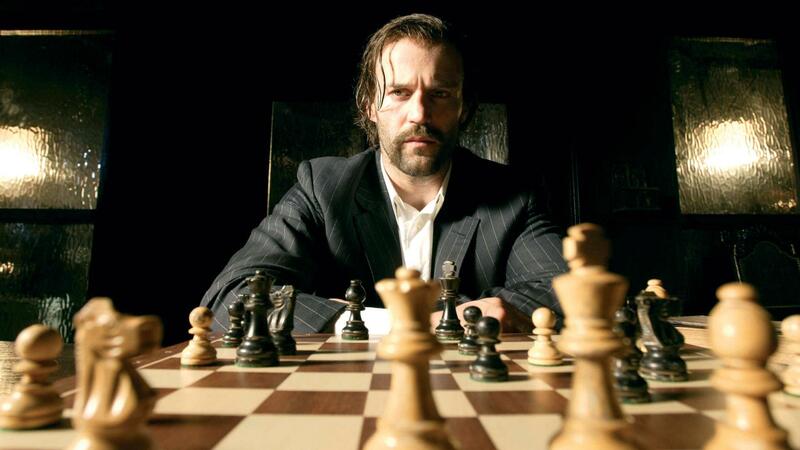 Another not-so-fantastic Jason Statham movie is the 2007 action fantasy film In the Name of the King. The talented actor was the lead star of the movie starring as a man named Camden Konreid/Farmer on a mission to rescue his kidnapped wife and avenge the death of his son. The movie was a box office bomb grossing less than a quarter of its production budget. It equally received very low ratings from the critics and was nominated for 5 Razzie Awards. 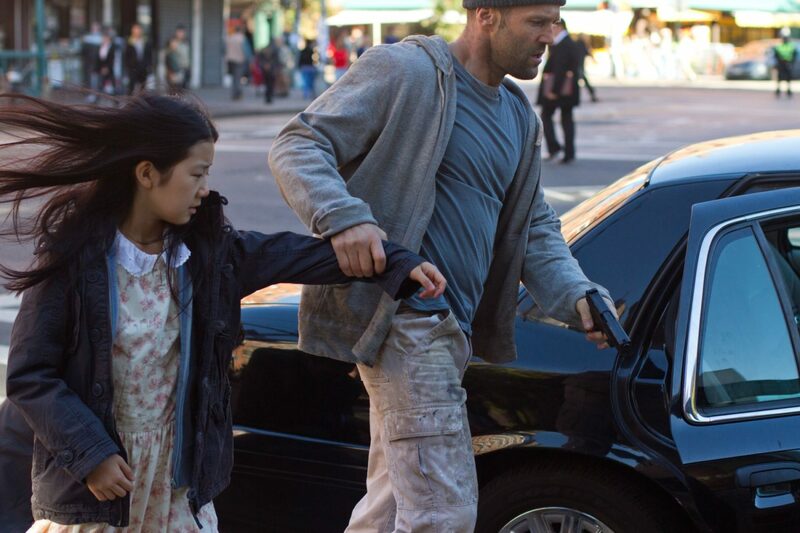 The 2012 action thriller Safe may not be the worst of Jason Statham films but it certainly is not the best. He played the lead role of Luke Wright, an ex-cop and retired cage fighter who stumbles upon an endangered gifted child and takes it upon himself to keep her safe. Statham received some critical praise for his own performance but the movie plot was largely criticized. The movie also had a disappointing outing at the box office. This 2008 sci-fi action flick is a remake of the 1975 film Death Race 2000. Jason Statham played the lead role of Jensen Ames, a falsely-accused and convicted prisoner who is coerced to take part in a fatal car race in which inmates brutalize and kill one another for a chance to regain his freedom if he wins the race. The movie received mixed critics’ reviews with a fairly successful box-office outing. 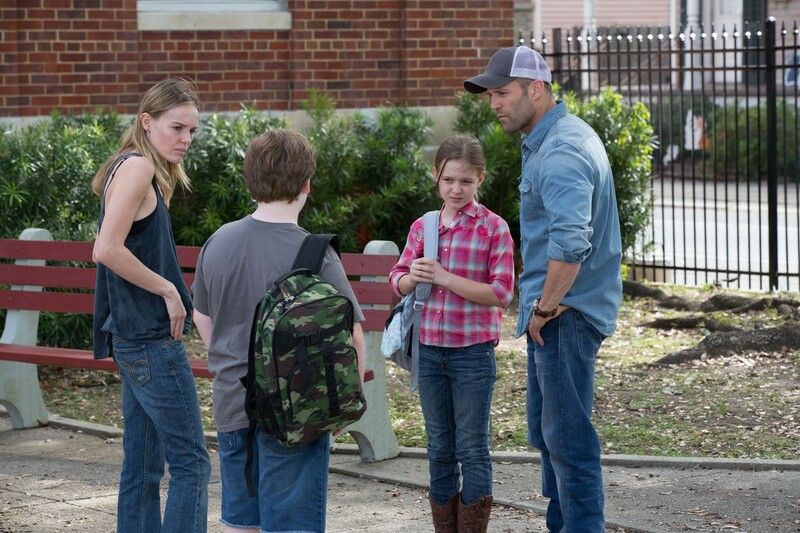 This 2013 movie is yet another brilliant action thriller from the stables of this talented Hollywood star, Jason Statham. In the movie, he played the lead role of a US war veteran and former Drug Enforcement Agent who relocates with his family to a small town but soon finds himself entangled with a local drug lord. The film received mixed critical reviews coupled with fairly average earnings at the box office. The title of this movie sounds like a typical Jason Statham movie. A thriller film, Statham portrayed the lead character of Terry Leather, a struggling car salesman with criminal tendencies who agrees to organise a bank robbery which could change his fortunes for life. The movie received sterling reviews from critics and it was also a commercial success. The Bank Job (2008) opened at No. 4 on the US box office and it went on to gross more than three times its production cost. Among Jason Statham’s notable film credits is the 2006 action flick Crank. He portrayed the lead role of Chev Chelios, a British hitman man who gets poisoned in Los Angeles and must keep his heart rate/adrenaline level constantly high in order to stay alive. He achieves this by taking different drugs and also getting into fights while he continues to trail the man who poisoned him. The movie received above-average ratings from the critics’ review aggregation website Rotten Tomatoes. It was also very successful at the box-office and it yielded a sequel Crank: High Voltage (2009) in which Statham reprised his lead role. The 2016 action thriller film Mechanic: Resurrection is a sequel to the 2011 film The Mechanic. Starring opposite fellow Hollywood A-lister Jessica Alba in both movies, Jason Statham played the lead role of Arthur Bishop, a trained assassin who fakes his own death in order to escape his former life. Mechanic: Resurrection (2016) received largely negative reviews from the critics, however, its box-office earnings exceeded that of the first film. The 2011 animated romantic comedy film Gnomeo & Juliet is the odd one among all Jason Statham movies seeing as it is a major departure from his usual action/thriller/crime movies. In the movie which is loosely based on William Shakespeare’s classic play Romeo and Juliet, the actor voiced the character Tybalt, Juliet’s short-tempered first cousin and Romeo’s rival. Other members of the movie’s voice cast include James McAvoy, Emily Blunt, Ozzy Osbourne, Hulk Hogan and Dolly Parton. 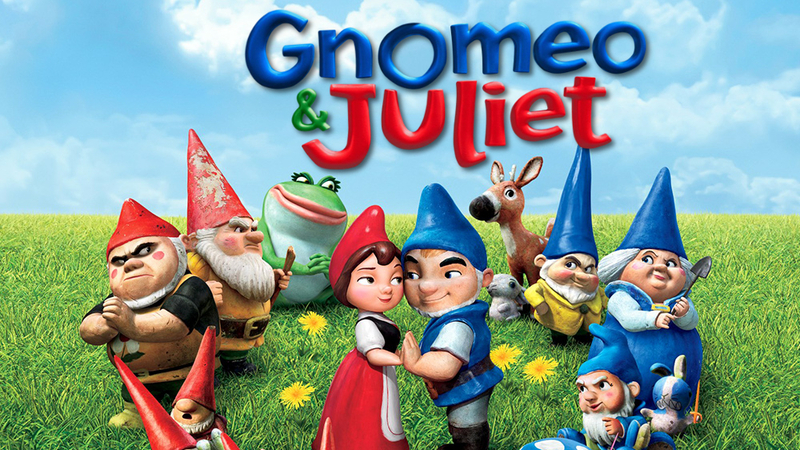 Gnomeo & Juliet (2011) was very successful in terms of critical acclaim and box-office earnings. The movie received a nomination for Best Original Song at the 69th Golden Globe Awards among other recognitions. One of Jason Statham’s most memorable roles was in the 2002 action film The Transporter in which he portrayed the lead character Frank Martin, a mercenary transporter. His performance in the film announced him to international movie audiences and also helped to seal his status as a Hollywood leading man. The movie was fairly successful at the box office and it received average ratings from the critics. It has spawned two much more successful sequels Transporter 2 (2005) and Transporter 3 (2008) with Statham maintaining his lead role. Jason Statham was on the cast of the highly successful action film series The Expendables starring alongside Sylvester Stallone and Jet Li. The film series also featured Steve Austin, Arnold Schwarzenegger, Jean-Claude Van Damme, Bruce Willis, Mel Gibson, and Wesley Snipes, among others. 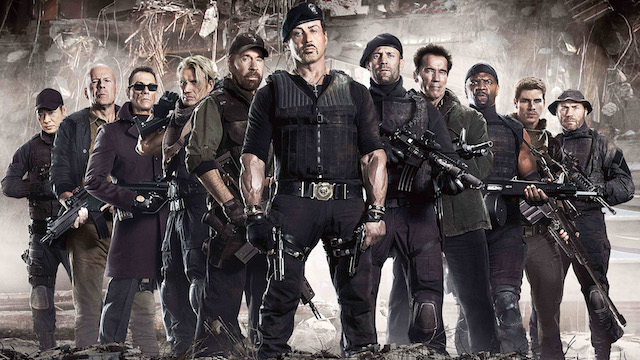 The first instalment, The Expendables, was released in 2010 and though it received mixed reviews from critics, it was a massive box-office success, opening at number one at the US box office. It’s sequels The Expendables 2 (2012) and The Expendables 3 (2014) were also very commercially successful though not as the first one. In all three installments of The Expendables, Jason Statham maintained his role as Lee Christmas, a blades specialist who works with a group of elite mercenaries to combat international crime. This 2015 action comedy film has got to be one of the best Jason Statham movies in terms of critical acclaim and commercial success. He played the male lead role of the movie Rick Ford starring alongside Melissa McCarthy, Rose Byrne, and Jude Law. Spy (2015) grossed nearly four-fold of its production budget at the box-office and also received two nominations at the 73rd Golden Globe Awards. One of Statham’s biggest career roles has got to be in the sci-fi action movie The Meg. Statham portrayed the film’s lead character Jonas Taylor, a rescue diver on a mission to save a group of scientists from a damaged nuclear submarine on the floor of the Pacific Ocean. The movie was a Chinese-American co-production and it fetched more than double of its initial budget at the global box-office. Despite its commercial success, the movie received mixed reviews from the critics and even bagged a Golden Raspberry Award nomination for the Worst Prequel, Remake, Rip-off or Sequel. The Fate of the Furious (a.k.a. Fast & Furious 8) is the 8th installment of the world-famous The Fast and the Furious movie franchise. In the movie, Statham reprised his role as Deckard Shaw, a rogue special forces assassin who breaks out of prison and later helps to take down a notorious cyberterrorist. The role had been smaller in two previous installments Fast & Furious 6 (2013) and Furious 7 (2015). The movie has a star-studded cast which also includes Vin Diesel, Dwayne Johnson, Tyrese Gibson, Chris “Ludacris” Bridges and Charlize Theron. The Fate of the Furious (2017) was a box-office monster and it grossed more than 4 times its $250 million production budget. It recorded one of the highest-grossing opening weekends in cinematic history and it was also one of the highest-grossing movies of 2017.